For some, life truly starts after death. You can’t spell funeral without fun. In fact, these aren’t funerals ... they are post-life shindigs! When Billy Standley of Mechanicsburg, Ohio kicked the bucket back in 2014, his family decided to carry out his long-discussed final wish: to be buried on his 1967 Harley Davidson motorcycle. Standley apparently talked about this for years and even wanted the boys down at his local garage to see it. 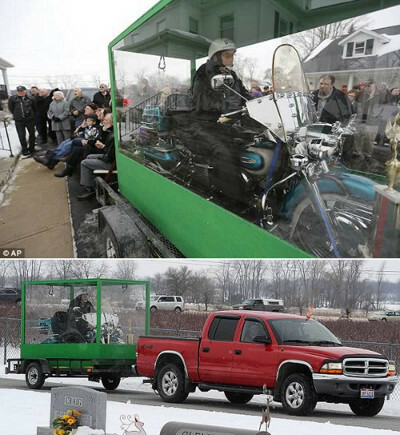 So his sons made a casket out of plexiglass, hired embalmers to prepare the body, and put the corpse on top of the bike for one final ride through town before he was lowered into the grave. 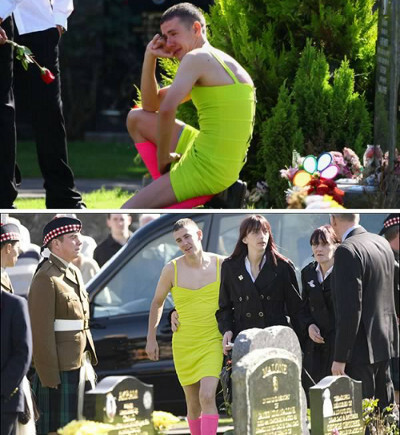 Back in September 2009, Barry Delaney attended the funeral of his best friend, Private Kevin Elliott, wearing a skimpy, neon-yellow dress and high pink socks. Delaney was simply fulfilling a deal they made before Private Elliott was shipped off to Afghanistan: If one of them died, the other had to wear a dess to the funeral. According to reports, family and friends of Private Elliott were warned in advance that Delaney intended to keep his word. 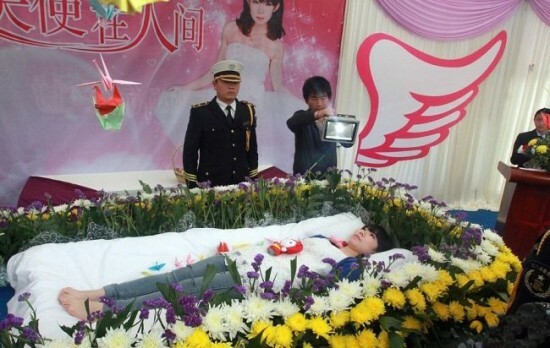 In April 2013, a funeral in China somehow took place although there was no dead body. The reason? She was still alive. Zeng Jia, a 22-year-old student from Wuhan invited friends and family to come to a rehearsal of her own funeral just so she would have the chance to check it out. She spent her entire savings for the event, complete with makeup artists, flowers and a Hello Kitty doll on her chest. After an hour of lying in her own casket, surrounded by “mourners”, Zeng stood up and delivered a eulogy in her own honour.